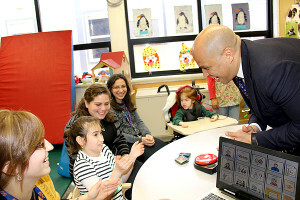 United States Senator Cory Booker visits with the students and staff at the School for Children with Hidden Intelligence’s (SCHI) Main Campus to celebrate SCHI’s worldwide impact to the special needs community and to honor the extraordinary work the SCHI School does with our 100’s of severely disabled children, adults, & their families. 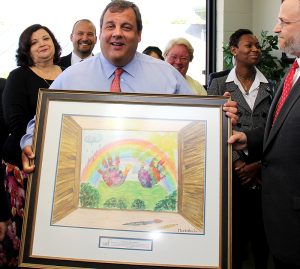 A recent visit by Governor Chris Christie to the SCHI School to celebrate and honor the extraordinary work the SCHI School does with our severely disabled children and adults, and to highlight SCHI’s worldwide impact to the special needs community. 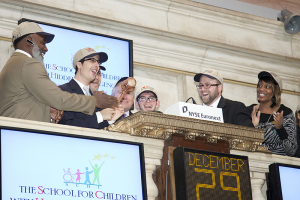 Executives and the wonderful children from The School for Children with Hidden Intelligence ring the closing bell at the New York Stock Exchange on December 29 in New York City. 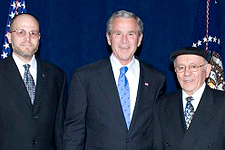 (Photo by Ben Hider/NYSE Euronext). 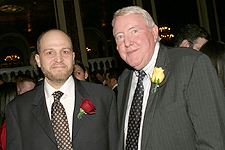 On December 29, executives and guests of The School for Children with Hidden Intelligence (SCHI) were invited to the New York Stock Exchange (NYSE) to highlight SCHI’s worldwide impact to the special needs community. 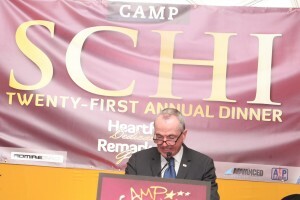 NJ Governor Phil Murphy speaks at The School for Children with Hidden Intelligence’s (SCHI) Annual Dinner to celebrate SCHI’s worldwide impact to the special needs community and to honor the extraordinary work the SCHI School does with our 100’s of severely disabled children, adults, & their families. 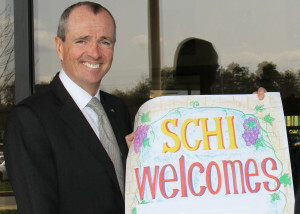 A recent visit was made by Governor Phil Murphy to the SCHI School to celebrate and honor the extraordinary work the SCHI School does with our severely disabled children, adults, & their families and to highlight SCHI’s worldwide impact to the special needs community. 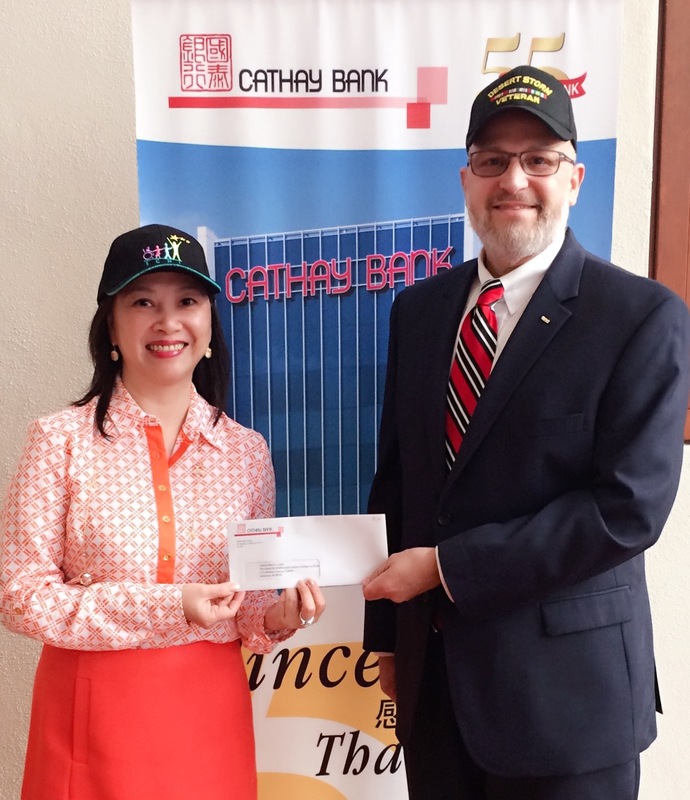 Ms. Elizabeth Lee, Senior Vice President, Cathay Bank, presents a grant check to SCHI’s Executive Director, Captain Mark A. Seigel, MBA, in support of SCHI’s Workforce Development & Financial Literacy Program. 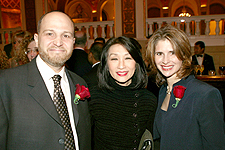 Cathay Bank is a strong supporter of the special needs community and continually looks for ways to help meeting the needs of underserved communities within the Tristate region & beyond. AWESOME! 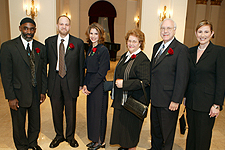 Camp SCHI has met the rigorous requirements to be proudly accredited by the American Camp Association, (https://www.acacamps.org/). 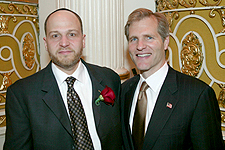 Proudly Sponsored by the wonderful Ronald McDonald House Charities of the New York Tri-State Area. You can donate to SCHI with confidence, as we are an organization which obtained a GOLD-LEVEL GUIDESTAR EXCHANGE participant status, demonstrating our commitment to transparency.